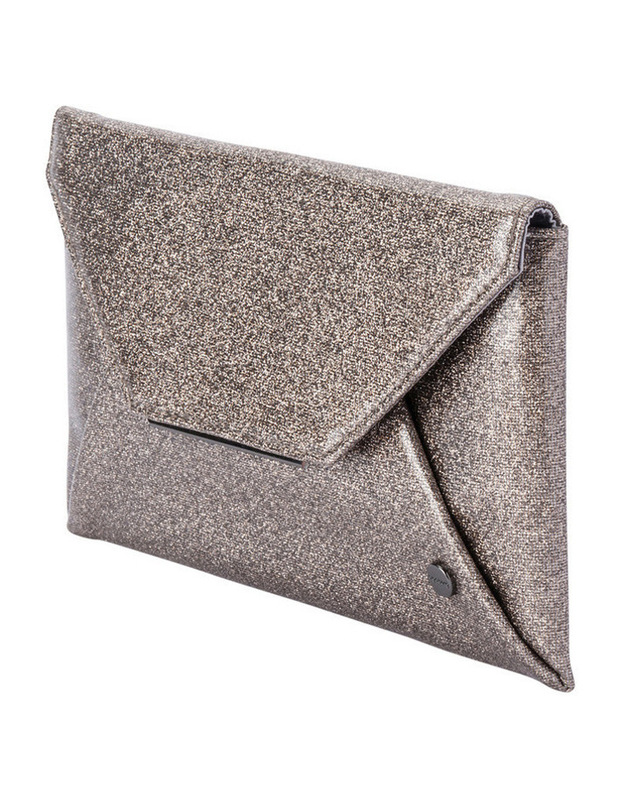 The Tash soft patent glitter envelope clutch is a simple yet stunning design. 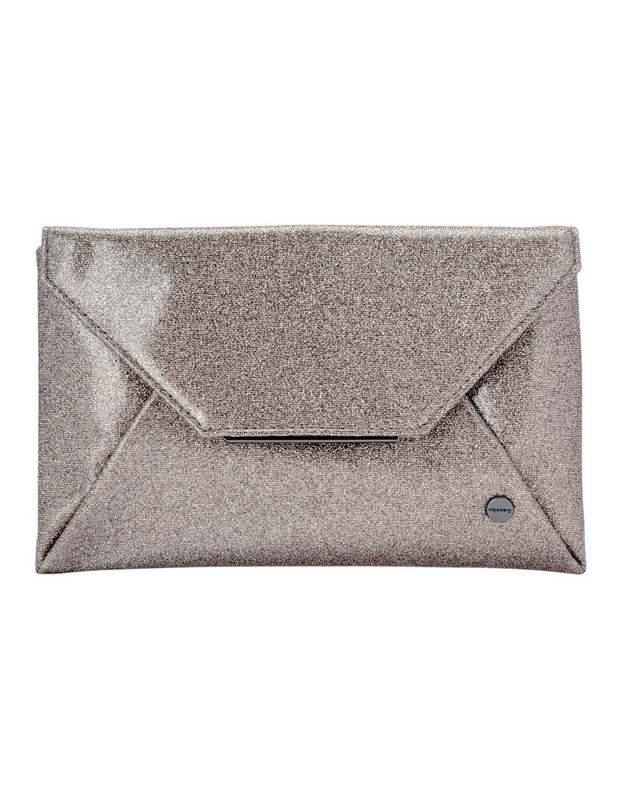 Add a subtle punch of metallic to your outfit with this fold over clutch. 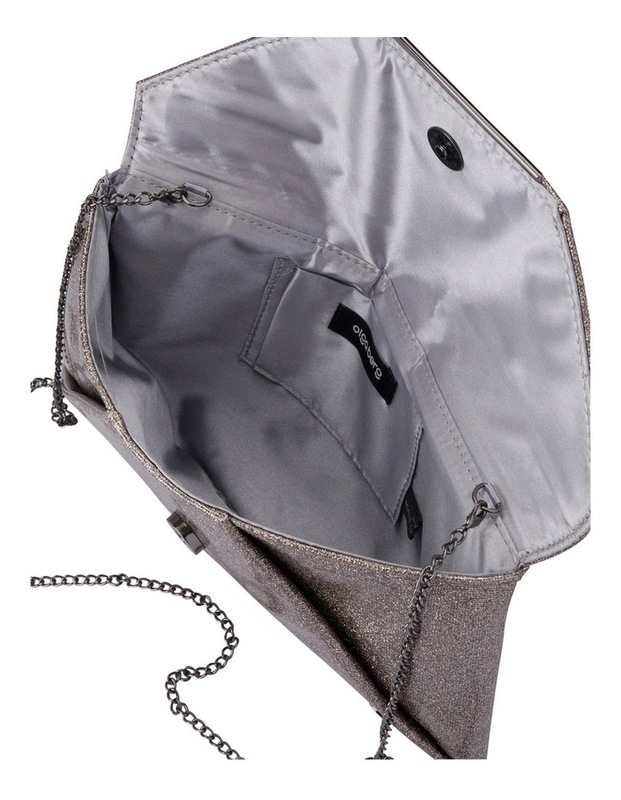 Roomy enough for all your essentials. 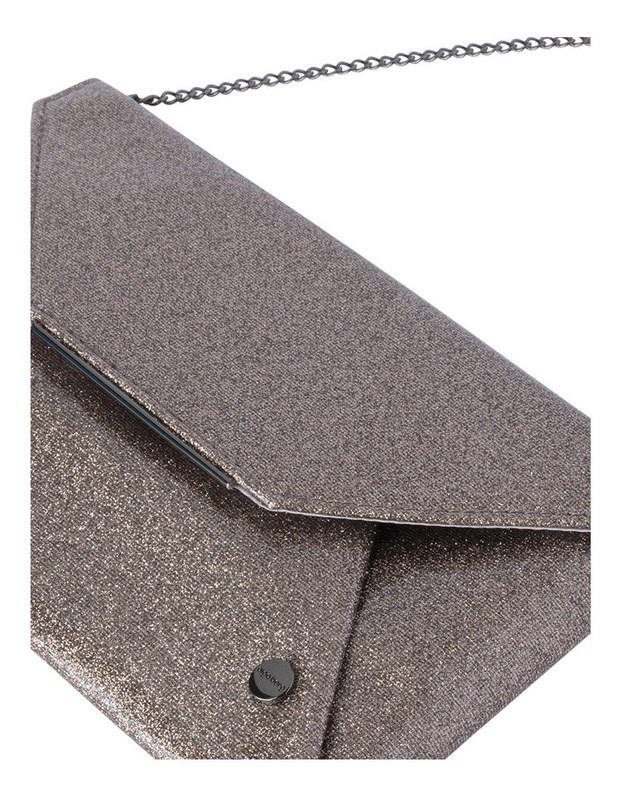 Carry in the palm of your hand or use the optional shoulder chain which tucks inside when not in use. 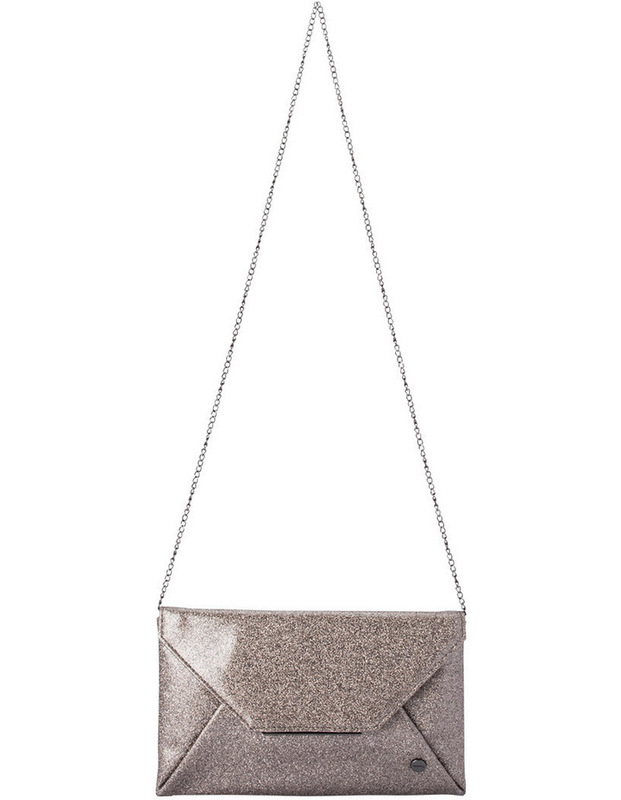 Style number ob4583 patent glitter metallic finish gunmetal tone hardware on gunmetal colourway rose gold tone hardware on rose gold colourway custom Olga Berg logo disc removable shoulder chain holds an iphone 6 . W19cm x H12cm x D5cm. 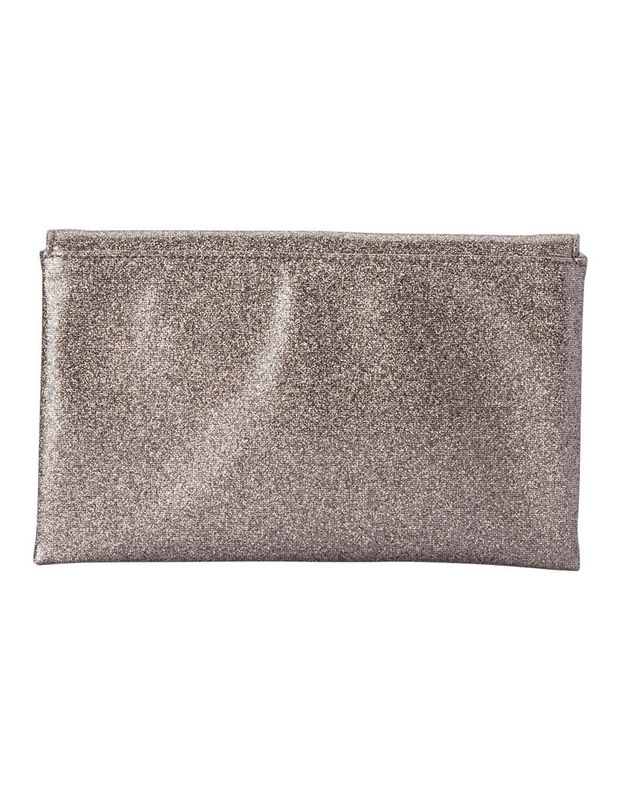 Includes protective dust bag designed in Melbourne.